After landowners, elected officials and others repeatedly testified at the recent Waymart DRBC hearing about the SRBC’s 2017 study that found “no discernable impacts” from fracking in the basin, activists tried to discredit the findings. During the final phone hearing this week, Delaware Riverkeeper Tracy Carluccio even went as far as to say she had spoken to someone at the U.S. Geological Survey (USGS) and that USGS discredited the study. That’s a direct contradiction to what Sec. McDonnell told Sen. Baker this week. You can read his entire testimony here. Sec. McDonnell also emphasized that here in the Commonwealth, “we have very good oil and gas regulations.” Those same regulations that have safely allowed for the Marcellus Shale to drive U.S. natural gas development, and in turn brought major economic and environmental benefits to Pennsylvania, would also be in place in the Delaware River Basin. 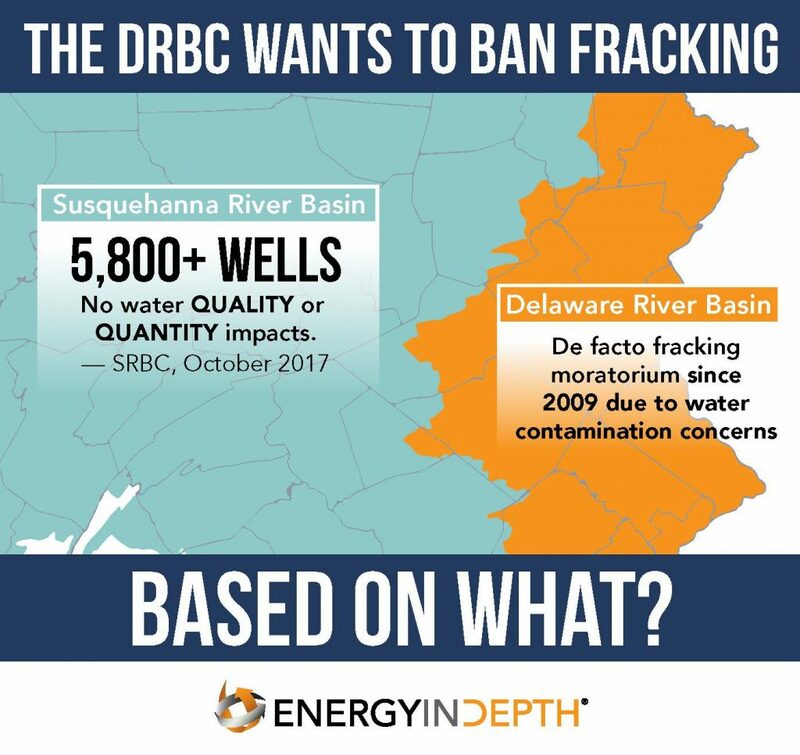 As such, the question remains: What is the DRBC really basing its proposed ban on, because it certainly isn’t the scientific evidence coming out of its neighboring basin.